Mortgage payments are the largest recurring monthly expense in many U.S. households, which is one of the reasons why the nation is experiencing a mini refinance boom. Current mortgage rates remain stubbornly low and homeowners are exercising their right to a home loan refinance. However, the ability to refinance won’t be available to everyone. You may be recently self-employed or working through a tax lien, as examples. The good news is that, even without a refinance, there are ways to make savings on your mortgage. The length of a mortgage loan typically caps at 30 years. Throughout those years, the amount of interest you pay accrues (and can get quite large). At today’s mortgage rates, a 30-year fixed-rate conventional loan at the 2016 mortgage loan limit of $417,000 would require close to three hundred thousand dollars in interest payments in order to pay of the loan. That’s a lot of interest to pay. These three methods below won’t lower your payment today, but they’ll yield significant long-term savings by chipping away your loan’s principal balance. The smaller your balance, the less interest you’ll pay to the bank. During any time of the year, it’s your right to “prepay” your mortgage. You accomplish this making a second, separate payment to your lender in addition to your regularly scheduled payment. At today’s rates, making just one extra payment per year will reduce your loan’s length by approximately 4 years. Multiply 4 years of payments by your monthly principal + interest due and you’ll get a sense for how much money making one extra payment per year can save you. Each month, when your mortgage payment is due, “round up” to the nearest hundred dollars. If your payment is $1,450, send your lender fifty dollars more. When your payment is received, your lender will apply the extra monies paid to your principal balance, which reduces what you owe. This shortens your loan’s overall length and, again, saves you money. Rounding up won’t have the same effect as making an extra payment annually, but you’ll put a sizable dent into your long-term costs. Rounding up can shorten your loan term by two years or more, depending on your loan size and how many years remain in your term. Many lenders offer a bi-weekly mortgage payment plan through which you can make payments on your loan every other week instead of once per month. There are 52 weeks in the year, which equates to 26 “half-payments” made which equates to 13 “full-payments” made, which makes bi-weekly programs similar to making one extra payment per year. Are bi-weekly mortgage programs through your lender worth it, though? This is not usually the case. Changing your mortgage payment yields long-term savings, but what about when you need relief today? Here are a few methods that may help you. 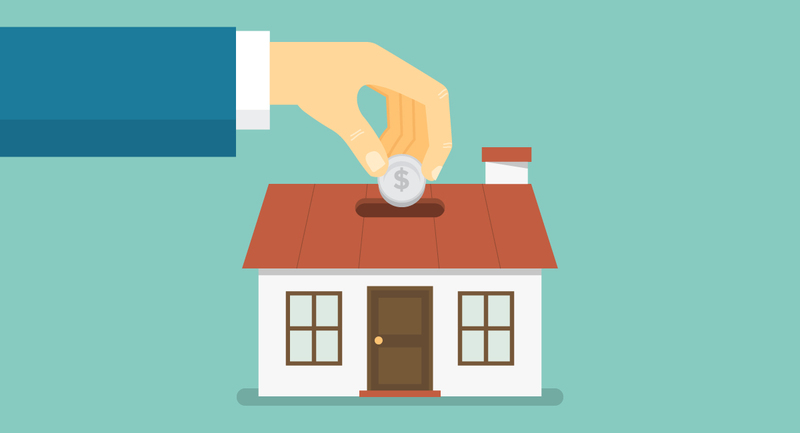 If you used a low-downpayment loan at the time of purchase, or used a conventional loan with less than 20% down, it’s probable that you’re paying private mortgage insurance (PMI). PMI is not forever, though — especially because home values are up. Rising home values reduce a home’s loan-to-value (LTV) ratio, and may put you in position to cancel your PMI as soon as right now. The first step is to contact your current lender and ask to have your PMI removed. Your lender will either grant that request, or deny it. If the request is denied and you’d like to proceed, you have three options available. First, Reduce your LTV to 78% with a lump sum payment. Your PMI will cancel. Next, add a value-enhancing feature to your home and have the home appraised. Lastly, request a fresh home appraisal. With an LTV below 78%, your PMI cancel. Note that canceling PMI may require a phone call to your bank. Take notes on each call in case you speak with multiple representatives of the bank. If you cannot afford your monthly mortgage payments and are in danger of falling behind on payment, contact your lender as soon as possible; you may be eligible for loan modification. Loan modification is the process of changing your loan terms without a refinance and lenders often work to help homeowners in need. The government gives banks incentives to participate in modification program so don’t overlook this option. According to the National Taxpayers Union, as many as 60% of U.S. homes are over-assessed, which means that the majority of U.S. homeowners are paying too much property tax. There is a formal process for appealing your home’s assessment. Check with your county government, or other local taxing authority. You may reduce your tax bill by 10% or more. With mortgage rates low, there is ample opportunity to refinance. And, you can’t know whether you’ll get approved until you try to apply.